Registering as an interpreter can be a daunting task, especially if you have little or no experience in the sector. As with most jobs, a requirement is to have “At least 1 year experience in the field” but how are you supposed to gain experience when nobody will take you on, due to lack of experience? It’s a catch 22 situation. As an Interpreter, I am sure you will have come across this situation when applying for jobs, especially now the industry standard is to have a Level 3 Qualification under your belt. Here are our 5 top tips for Interpreters before joining the workforce. Is this career path really for you? Are you fluent enough in 2 languages to interpret accurately? Do you mind working varied and flexible hours? Are you willing to travel? Can you take on last minute assignments? These are all areas for consideration before choosing Interpreting as your career path. 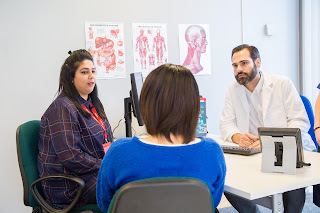 You may be asked to interpret in a hospital one day where a member of someone’s family is being diagnosed with a serious or life threatening illness. This is a very emotional and distressing position to be in and you must remain impartial. A thorough research into the field is needed before jumping straight into it and deciding whether this is for you. You need to decide whether you wish to work for an agency or work for yourself in your own freelance business. Freelancers work independently and directly with clients. Agencies employ freelancers to work individually and together on projects for clients. An agency acts like a middle man; they will find the work for you to do rather then you finding it yourself. Finding work through an agency is easier but can pay less. Another option is to start up your own agency and employ freelancers yourself but this will take more planning and you need to find the clients to keep your freelancers happy. Have a look at our Introductory Business Skills courses here. They are designed to help you to get your freelance business up and running. What are the entry requirements to work professionally as an interpreter? Do you need any qualifications? Do you need a certain amount of experience? Do you have to be a specialist in the different sectors such as Health, Police or Education etc.? It is your responsibility to find out what you need to do and prepare before you apply with an agency or set your own business up. Have a look at our Interpreting Qualifications and Courses here. Where do you see yourself in 5 years’ time? Having a realistic career plan is essential for personal growth and development. Once you have figured out if this industry is for you, whether you want to register with an agency or work freelance and whether you need to be qualified, map out a career plan and track your progress against it. How long does it take to be qualified? Which agencies do you want to register with? How many assignments do you wish to have undertaken in one years’ time? Will you increase your rates the more experienced you become? What do you need to in order to successfully run your own freelance business? A crucial part of applying for jobs is having a current, relevant and professional CV. 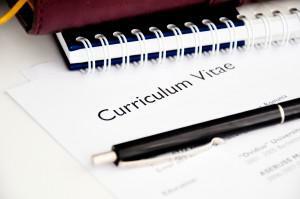 If you don’t have a CV, write one! Here is a great site on how to write a CV. If your CV is out of date, update it! Be sure to add all of your skills, experience and job history. It is also ideal to have a portfolio or folder of all your qualifications and certificates. When I was searching for a job, I found it very useful to have all of my qualifications, certificates and CPD records to hand, in one place. It saved me from scrambling around my bag pulling out crumpled paper. It also makes you seem more organised. Job searching can seem intimidating if you don’t prepare yourself for challenges along the way. If you follow our 5 simple top tips, the hunt for a job will seem less daunting and more rewarding. Do you want to be self-employed or work for an agency? What do you need before you can become a professional interpreter?